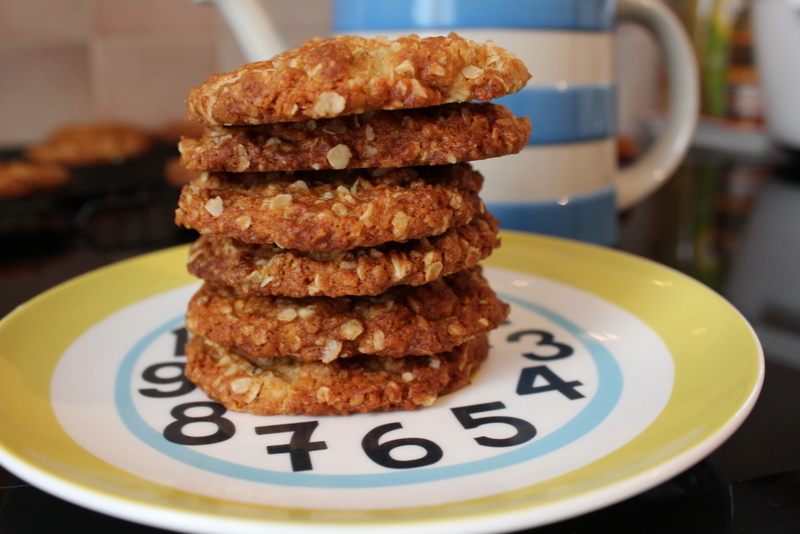 I know – I’ve already done my bake for New Zealand, but had all the ingredients in the cupboard at the weekend and the hubby wanted biscuits so I thought, why not! All it means is that I’m making more work for myself, but never mind! I know it’s not Anzac day, but these biscuits are so yummy, I don’t see the point in waiting till then. 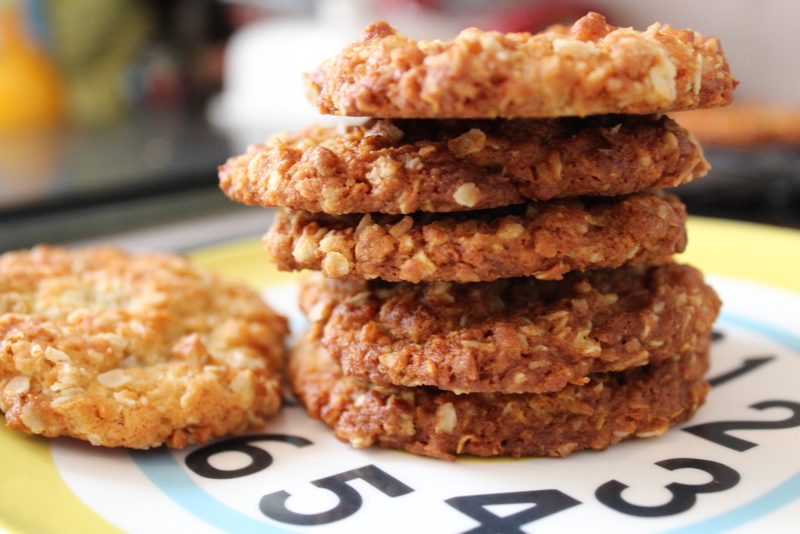 I’ve made Anzac biscuits a few times before and some of the recipes I’ve tried haven’t quite matched up to the ones my hubby has had back home. These ones were much more successful, so I’m going to stick to this recipe from now on. It comes from the BBC Good Food website. Heat oven to 180C/fan 160C/gas 4. 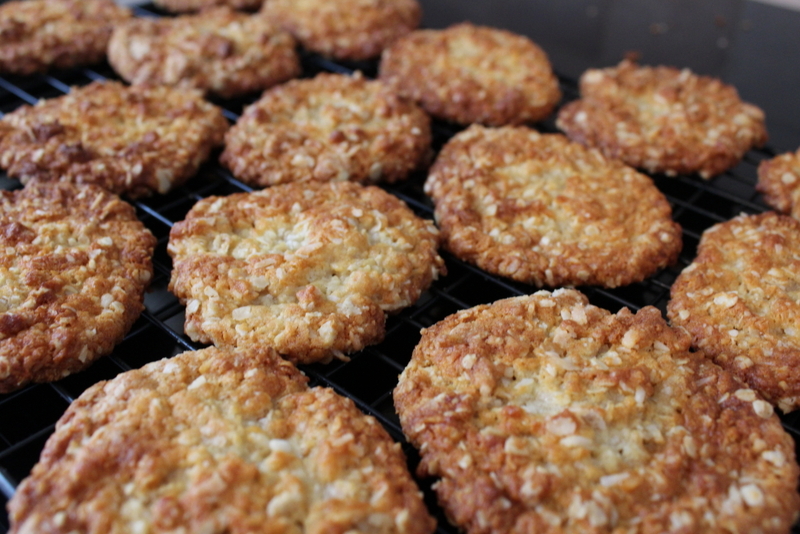 Put the oats, coconut, flour and sugar in a bowl. Melt the butter in a small pan and stir in the golden syrup. Add the bicarbonate of soda to 2 tbsp of boiling water, then stir into the golden syrup and butter mixture. They’re so quick and easy to make too. Definitely worth trying!